On the first day of the school holidays we packed the car & headed off with the kids on AFL Grand Final Day, a massive day here in Melbourne when the 2 best teams of the season play off for the premiership cup. We left early enough hoping to arrive in Eden for kick off, Not all went to plan, we arrived in time but took a while to set up. Lets say we listened to the last quarter of the game, to hear Hawthorn win the 2013 Premiership. As we are Big 4 Holiday Park members, we stayed at a Big 4. Big 4 memberships are $50 for 2 years membership and provides you with 10% discount of all parks to the value of $40 per visit. 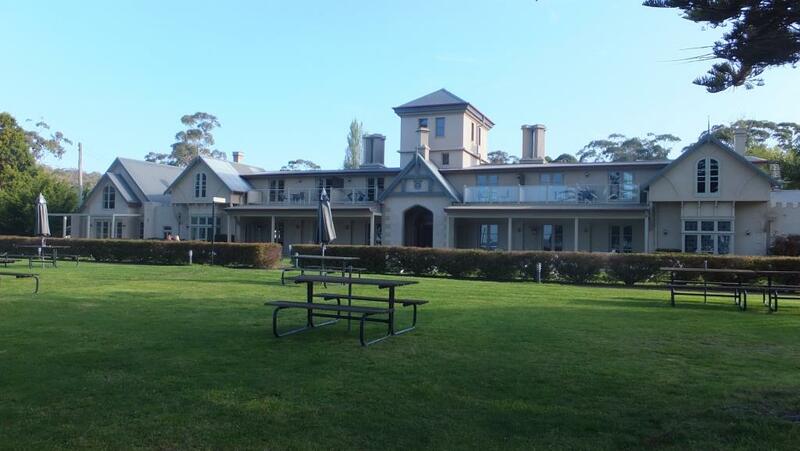 There are two Big 4 parks in Eden and we had booked at the Big 4 Twofold Bay Resort which is just on the outskirts of town backing onto Twofold Bay. The resort is beautiful, very spacious with grassy sites and plenty of cabins with beach views if your not to keen on camping. There are sites with ensuites for caravans and tents which I think is a great option going forward for us & its only a few extra dollars. This particular holiday park had a swimming pool, playground with jumping pillow, tennis court, a fantastic camp kitchen & direct access via 3 paths on to the beach. 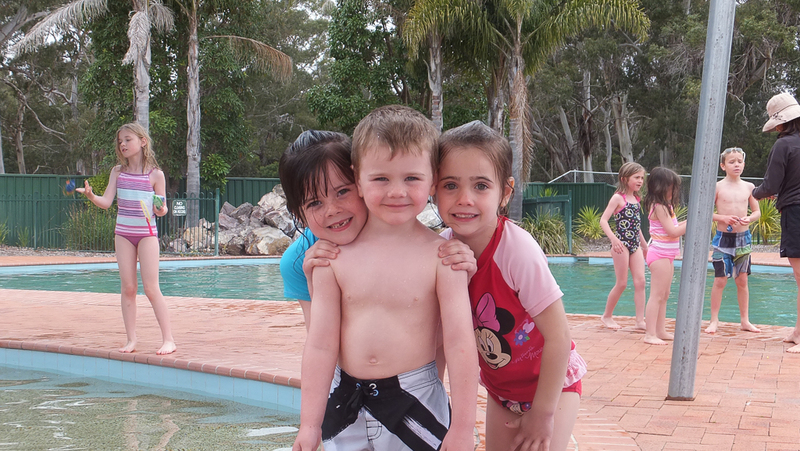 Kids enjoying the swimming pool at the park, bit cold for mum & dad to swim though. 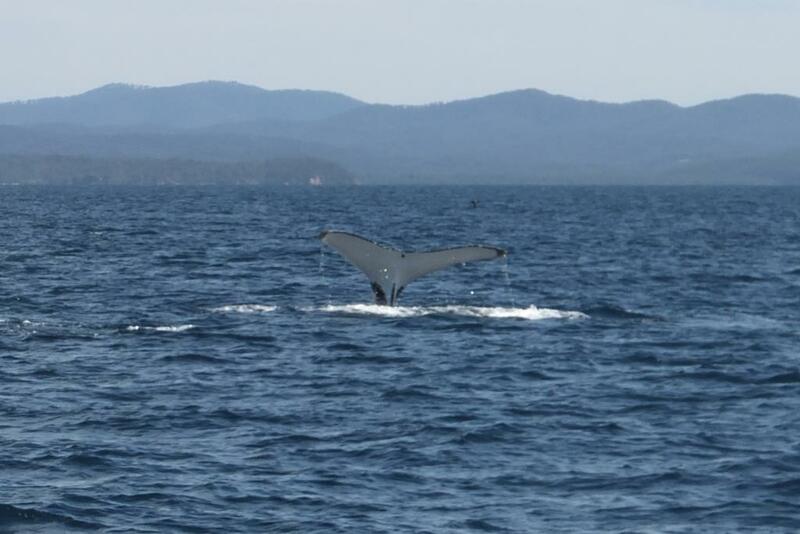 Our main reason for going to Eden was to hopefully see some whales. I booked a whale watching cruise for the 5 of us with Cat Balou Cruises, the owners Ros & Gordon have been operating out of Eden since 1987. The cost was $185, $160 for a family ticket and $25 per additional child. They advise everyone to take seasickness tablets just in case. I think without them the day we went out, myself & the kids would have been sick. It was pretty choppy and very cold so make sure you rug up! Gordon had no trouble finding any whales. There were plenty. 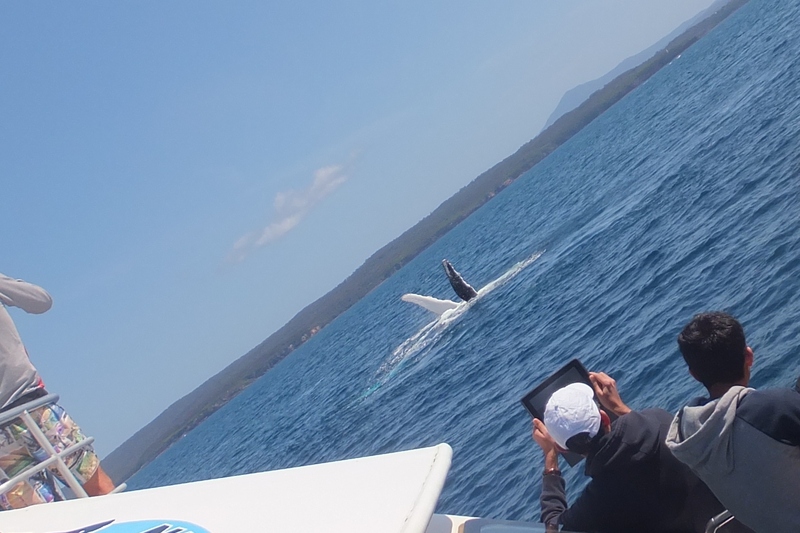 Whales are quite inquisitive & showed a lot of interest in our boat. 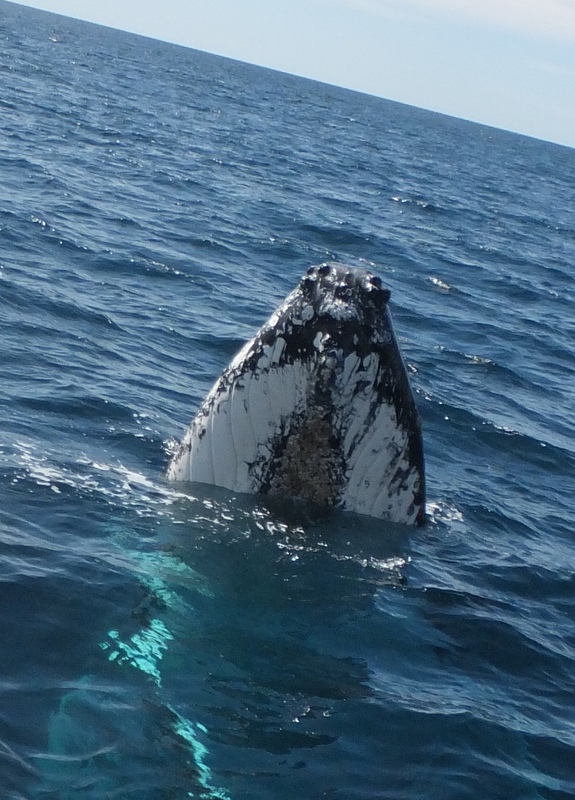 See the photo below of a ‘spy hop’, which the whale did at the rear of the boat, he was looking straight down at us. It was an amazing experience. A Spy Hop right at the rear of the boat. Alannah read the information guide they provide at the commencement of the trip & knew all the names of the moves the whales were making. 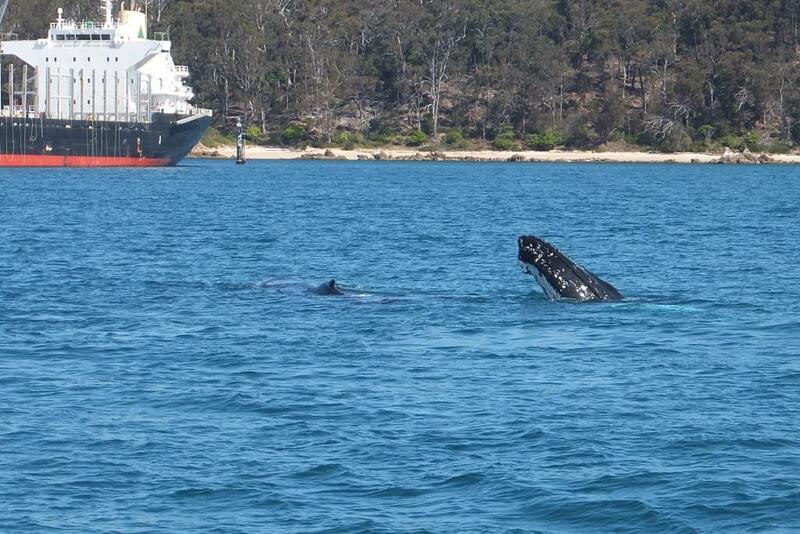 Unfortunately we didn’t manage to see a breach, when the whale jumps completely out of the water. Needless to say Alannah & I had to go out again. Ros & Gordon gave us a 15% discount on our second trip & we saw a whale breach although I wasn’t quick enough to catch it on my camera. I think I could have gone out every day & still not got sick of the whales, they truly are amazing animals. 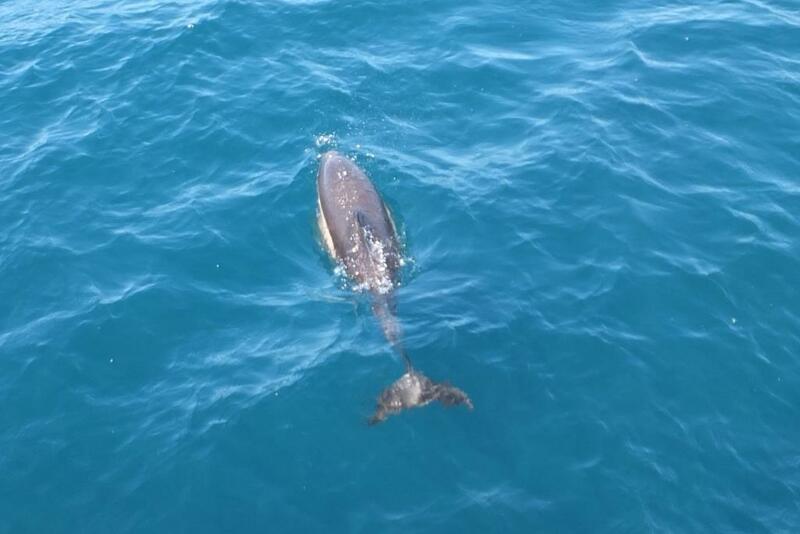 A big shout out to the dolphins, that we saw plenty of as well! 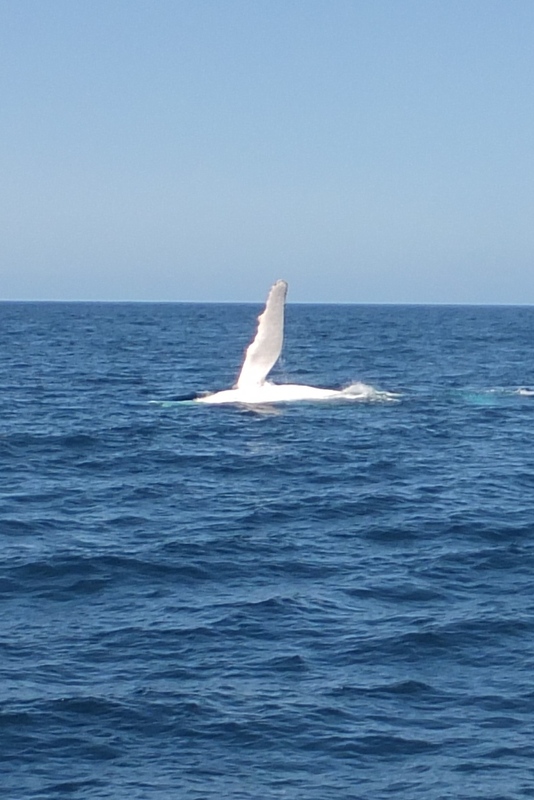 They were a little overshadowed by the whales though! We discovered the most delightful pub, the Seahorse Inn in Ben Boyd National Park. If you didn’t know it was there, you would never find it. We found it whilst walking along the beach, there was a opening in the landscape that opened to this beautiful pub. The food was a bit expensive but a nice break from the BBQ back at the camp site! It would be amazing in the summer. 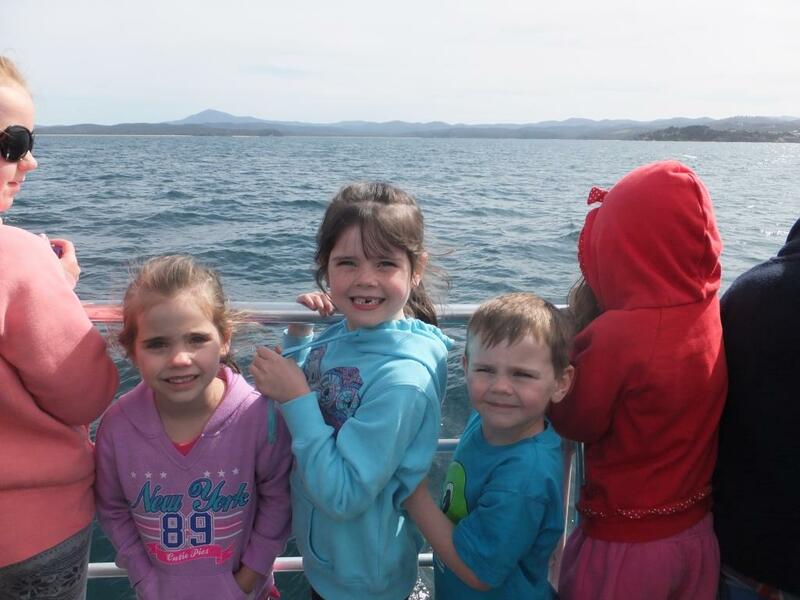 Whilst Alannah & I were on our second whale watching tour Craig took the little ones to Oaklands Junction Farm. The kids had a pony ride & a look around the farm at all the different animals. They also sold produce from the local area, jams, sauces, chocolate & fudge. It was a lovely little working farm. There is plenty of places for a drive from Eden, not far up the coast is Pambula Beach, Merimbula & a little further on is Narooma. These are all popular holidays spots for those in Victoria & NSW. All have very beautiful beaches its an easy drive with plenty of lovely scenery. 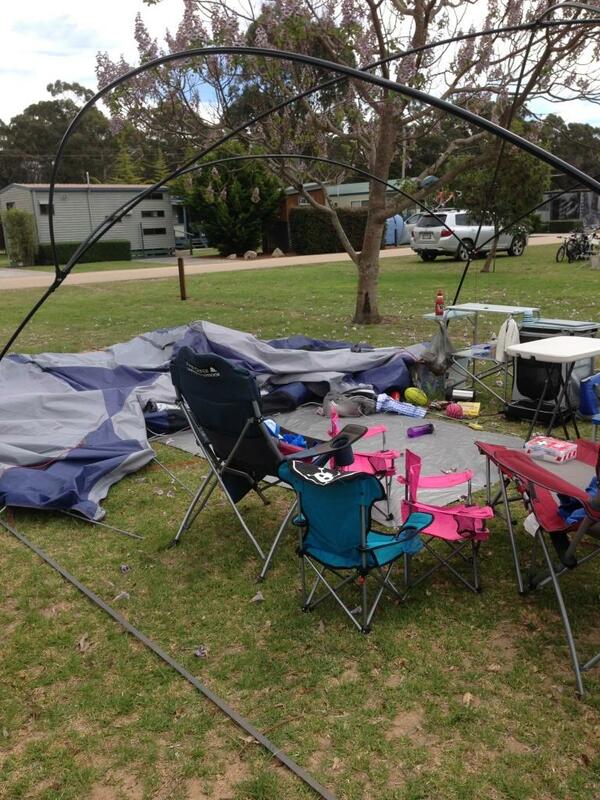 This time of year in Eden can be windy, We had our fair share of wind and lost 2 days on tent patrol. The first day we got smashed with 100km winds which destroyed our tent. Craig rushed into Eden & got a repair kit for the 4 broken tent poles. Nothing like a bit of excitement whilst camping. Below is the aftermath! Lucky the camp kitchen was well equipped for me & the kids with a flat screen TV, couch & heater. Our site after the wind! There is plenty of bushwalking to do in the area, the Ben Boyd National Park has Boyds Tower, Green Cape Lighthouse & Davidson Whaling Station which are all nice walking tracks, allow a couple of days to do them all. Also the Whale Museum in the town of Eden is worth a visit to learn the history of Eden and the story of ‘Old Tom’ the Orca Whale and how he assisted the whalers in the early 1900’s. Eden is a great place to see the whales and the town itself is really pretty. The kids loved the park we stayed in and we walked along the beach both morning and evening. 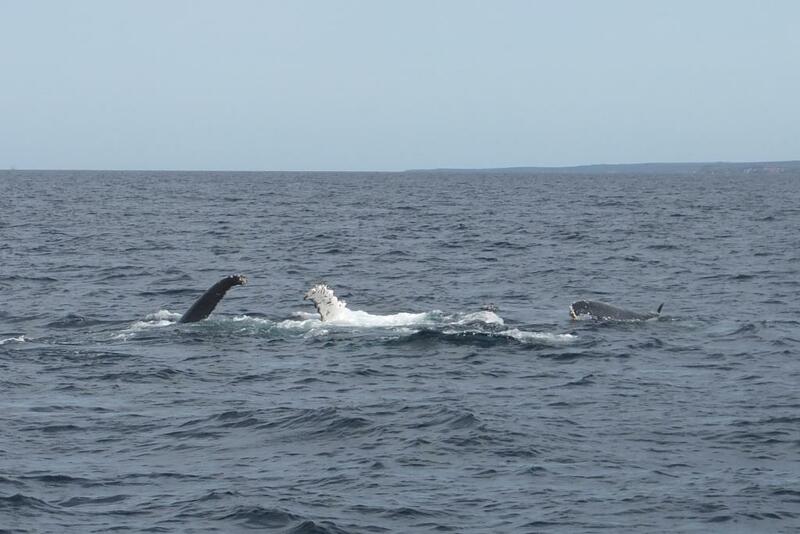 I have provided a couple of extra pictures of the whales as that was the highlight of the trip. Well worth a visit and couldn’t fault Cat Balou Cruises.